Cotton Owens Garage is synonymous with winning! 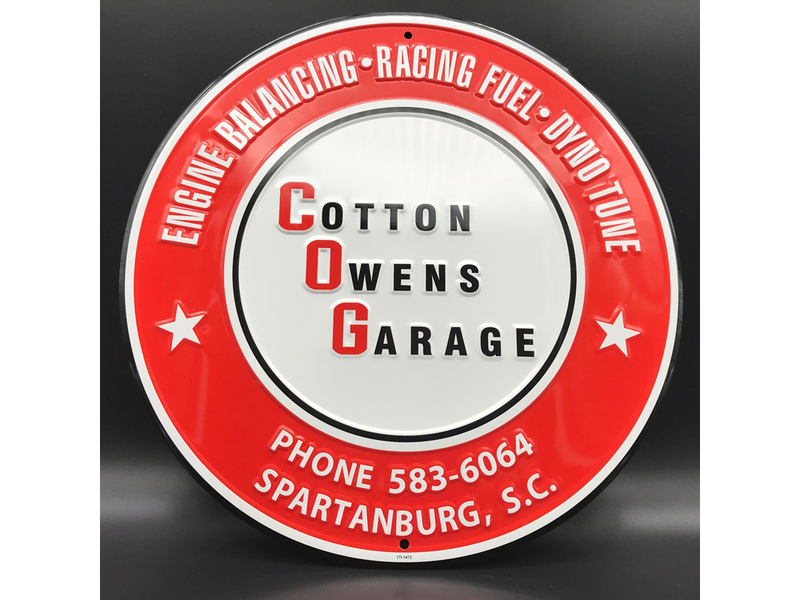 As a racing team owner, CottonOwens built some of the most iconic cars ever created for many of the sport’s biggestnames including David Pearson, Bobby Allison, Junior Johnson, and Buddy Baker.Lionel Racing is excited to announce that this officially licensed Cotton Owens Garage12” embossed metal sign has just been released as part of the University of RacingHeritage brand – a new line which celebrates the rich history of motorsports.This embossed aluminum sign is produced with vivid colors, made in the USA and comesready to hang. Plus, it’s in stock and ready to ship.Order yours now!